This is a coral inspired 8 inch round basket. 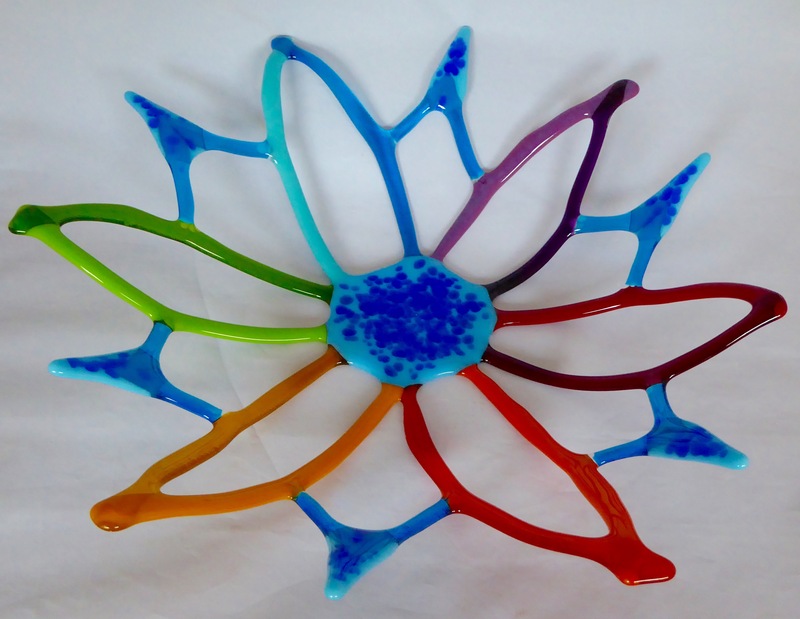 These are signed handcrafted pieces by artist Bob Lercari, and can be made available in other glass colors that are in-stock. Round baskets in the coral motif are available in sizes 6 inches through 16 inches. Use "Contact Us" to inquire about other sizes and/or colors. 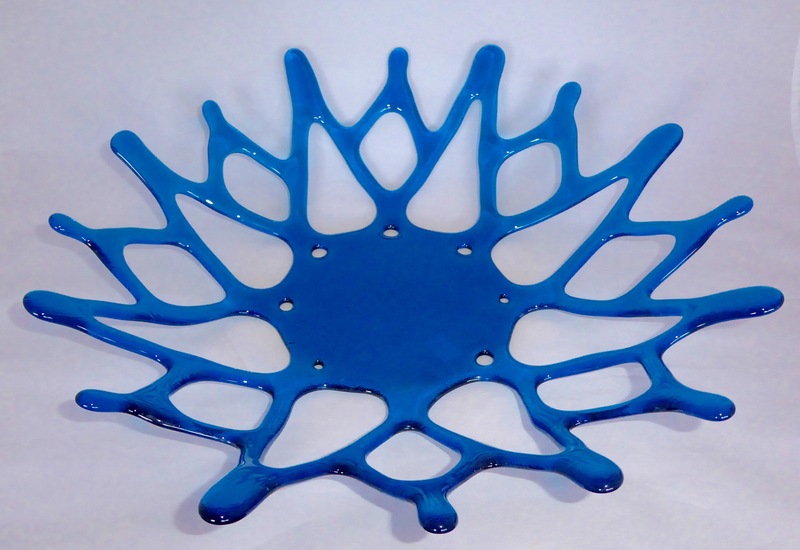 Artist Bob Lercari has created a series of 16 inch glass baskets patterned after snow flakes. 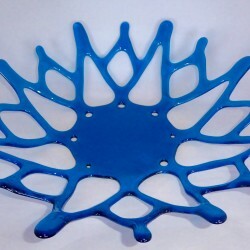 A transparent turquoise blue one is shown here. We also have transparent red as well as transparent emerald green available. 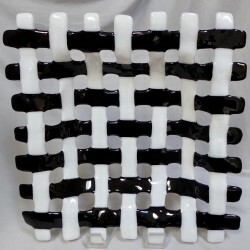 These baskets can also be made in other (available) glass colors as well as in opaque. Specify color via "Contact Us". 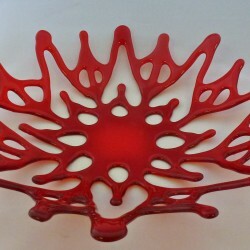 Artist Bob Lercari has created a series of 16 inch glass baskets patterned after snow flakes. 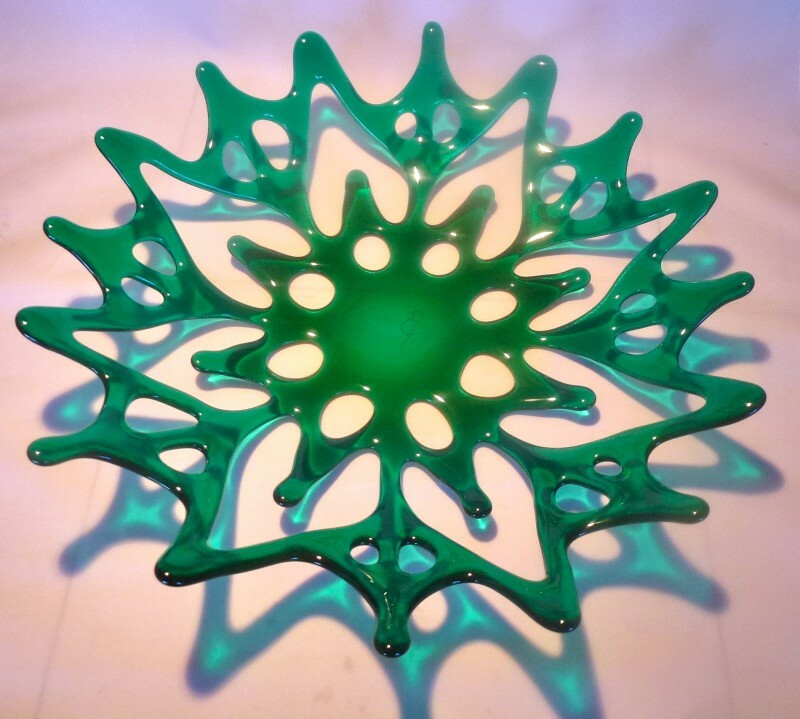 A transparent emerald green one is shown here. We also have transparent red as well as transparent turquoise blue available. 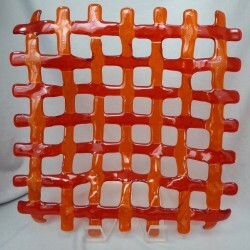 These baskets can also be made in other (available) glass colors as well as in opaque. Specify color via "Contact Us". 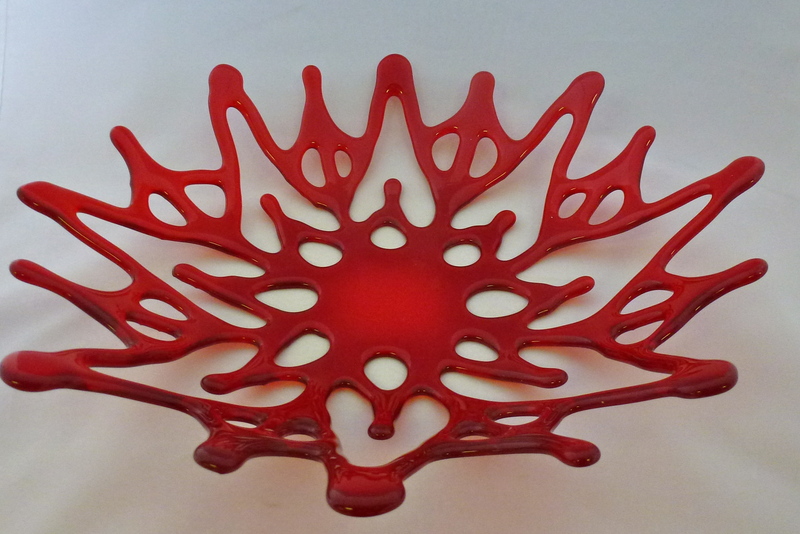 Artist Bob Lercari has created a series of 16 inch glass baskets patterned after snow flakes. A transparent red one is shown here. These baskets can also be made in other (available) transparent glass colors as well as in opaque. Specify color via "Contact Us". 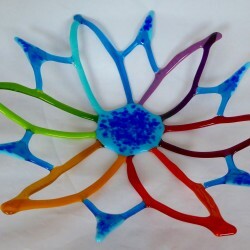 Sixteen inch variation of a coral basket in transparent turquoise blue created by glass artist Bob Lercari. 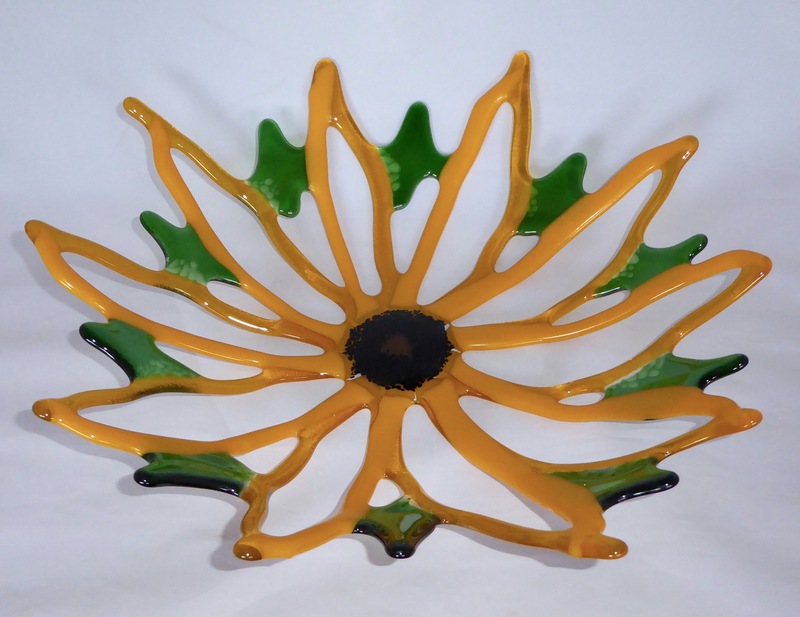 New floral basket design by artist Bob Lercari to represent the black eyed susan flower. 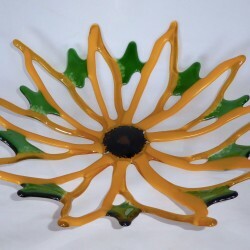 Petals are in marigold yellow combining transparent and opaque glass. 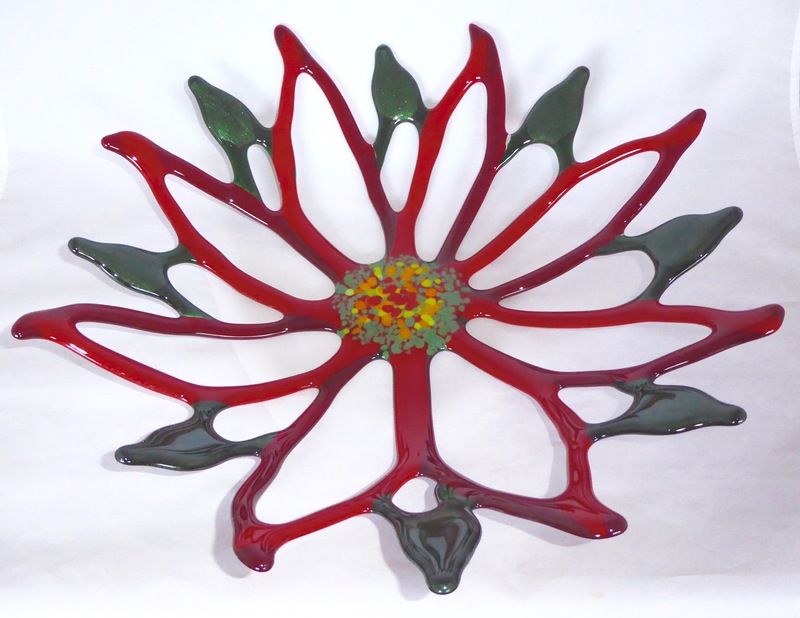 New floral basket design by artist Bob Lercari to represent the poinsettia flower. 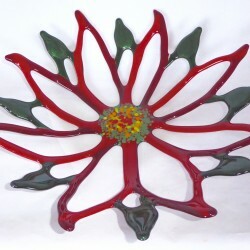 Petals are in red combining transparent and opaque glass. 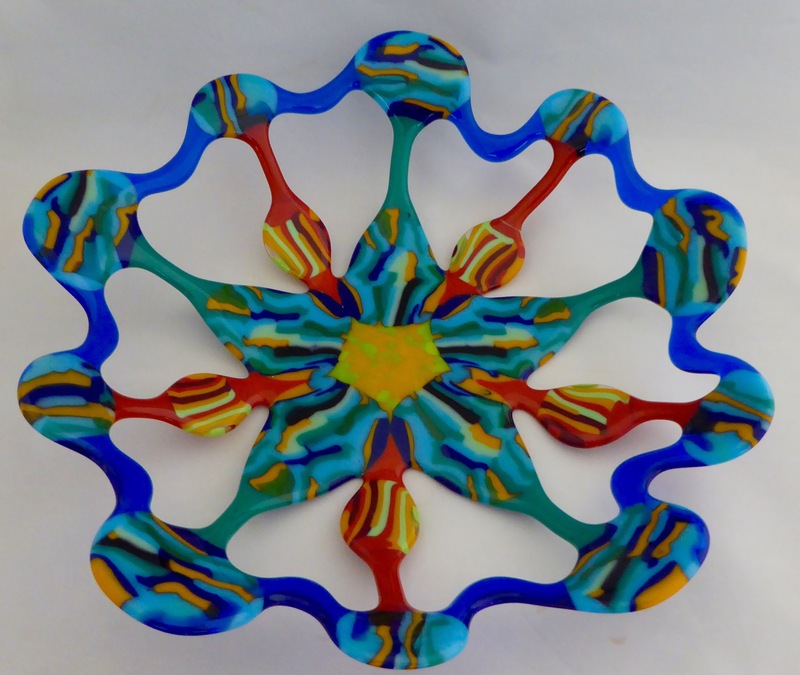 New floral basket design by artist Bob Lercari to represent the a flower with rainbow sequence of petals. 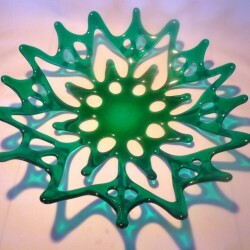 Petals combine transparent and opaque glass. Open basket in blue and green circles. This is a signed one of a kind piece by artist Bob Lercari. 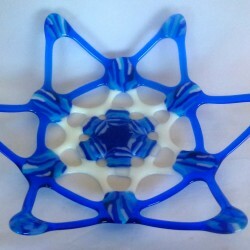 Carousel basket with a blue pattern bar star fish in the center. The star fish is chaperoning 5 teen young ladies. These are surrounded by young teen boys with their parents. This is a G rated version of the original "Breakaway Kiss". The piece was created by artist Bob Lercari. 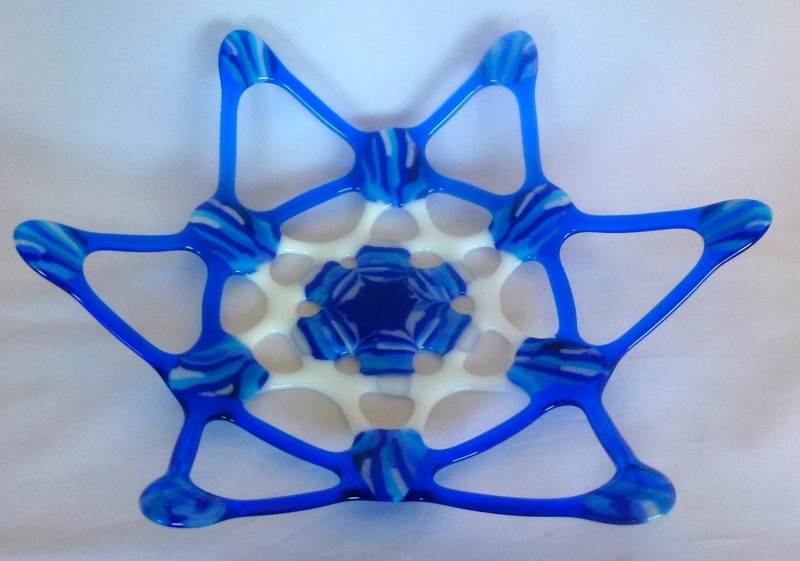 This carousel basket created by Bob Lercari uses blues and white, and is shaped as the Star of David. This piece commemorates Jewish holidays. The basket is 16 inches in diameter. 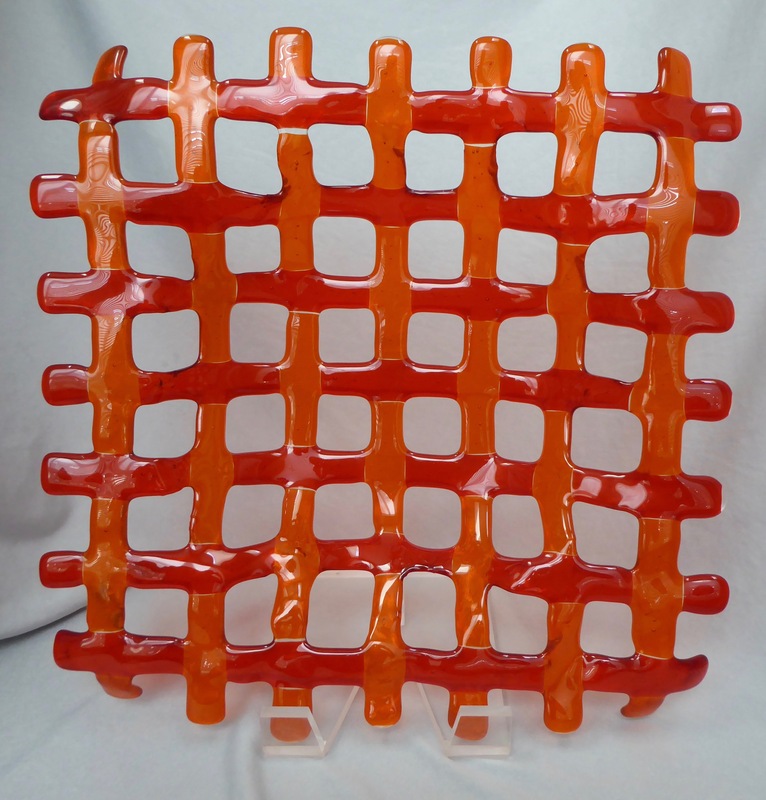 This 17 inch lattice basket is made with transparent light and dark orange glass in a weave pattern. It is a one of a kind signed piece by artist Bob Lercari. 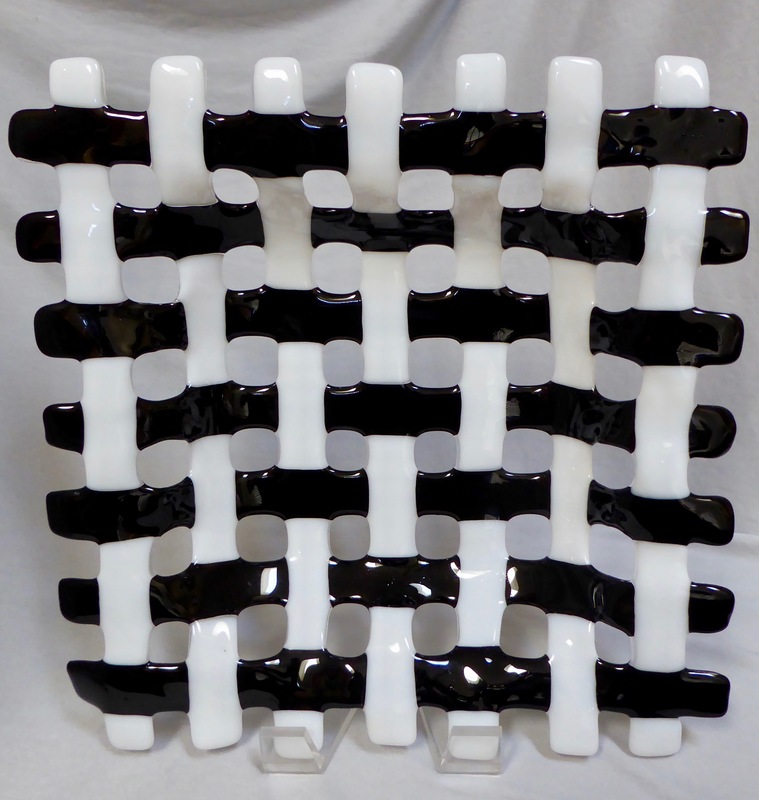 This 17 inch lattice basket is made in a weave pattern with opaque black and white glass. It is a one of a kind signed piece by artist Bob Lercari. 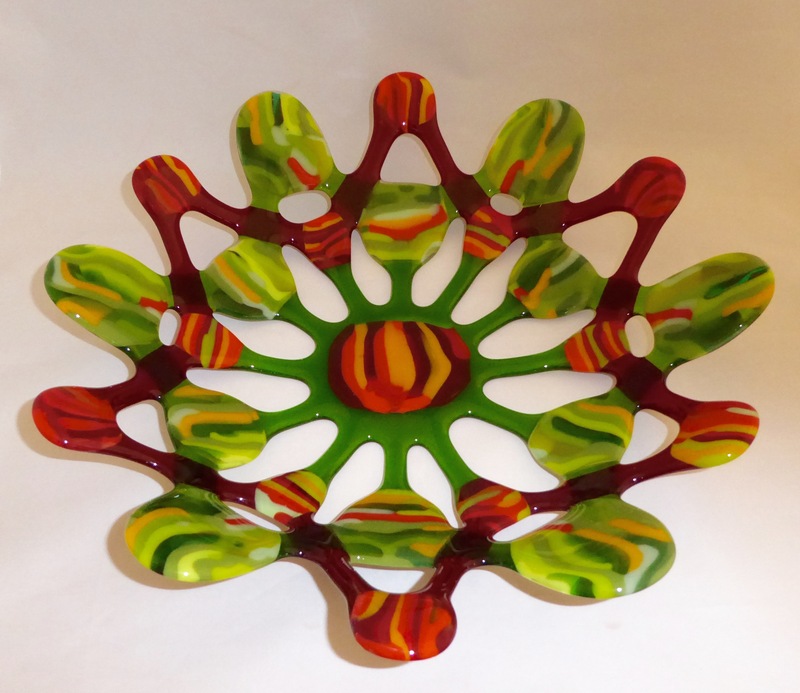 This one of a kind Carousel basket created by artist Bob Lercari using pattern bars in greens and in reds. The piece has 12 points of alternating red and green. The basket is 15 inches in diameter. 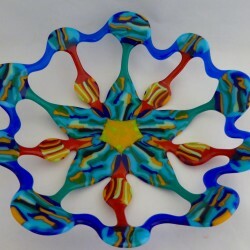 The organic beauty of coral “sea trees” has inspired us to create baskets as well as “pure art” Sculptures to simulate the free forms of coral. Coral inspired baskets have been created in sizes that range from 6 inches to 16 inches, with retail prices of $50 to $300 for the larger pieces. Shapes created have been oval and round. Examples are shown in the photos at the left. 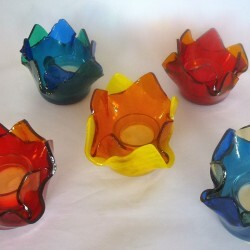 In addition to coral baskets, we also make tea candle holders which include the tea candle and retaill for $40. 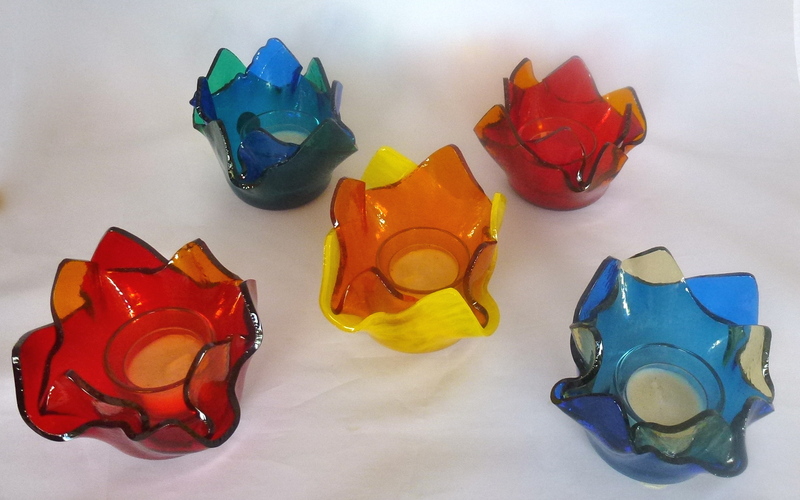 The coral baskets and candle holders can be made in any color, opaque or transparent, that we have in stock. Feel free to inquire to meet your particular color/decoration needs. The approach used to create the coral inspired pieces led us to developing whimsical glass baskets with floral and fauna inspired colors…our “Carousel” series of baskets. 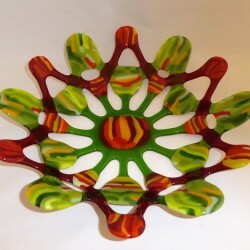 These are fun baskets, generally circular in shape and about 16 inches in diameter. They are in the $225 to $350 retail price range…all one of a kind. In addition, we've taken some small carousel type baskets and fused them on to clear glass to create small fun bowls that can be used for candy or dips. All baskets are currently being offered at wholesale and below prices.